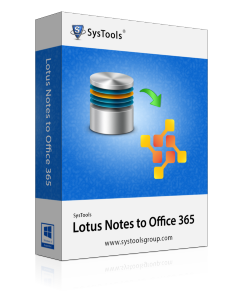 SysTools Lotus Notes to Office 365 importer uploads all mailbox items like emails, tasks, calendars & contacts to Microsoft cloud with ease. I would like to rate this tool: 9.1/10. The Lotus Notes to Office 365 Migration tool efficiently exports data from Domino to Office 365. It has numerous advanced features like selective export options, various types of filters, maintaining Internet header, etc. This makes NSF to Office 365 migration unique & most efficient one. Rating given to this tool is: 9.6/10. The SysTools Migration Tool got 100% clean software with 5 star rating awarded by Software Informer. 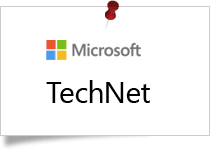 This application is one of the most trusted & downloaded NSF to O365 migrator on Gallery Technet. The Lotus Notes to Office 365 migration tool received 5 stars from CNET for its exceptional performance and user friendly GUI. You can perform the direct Domino to Office 365 migration. 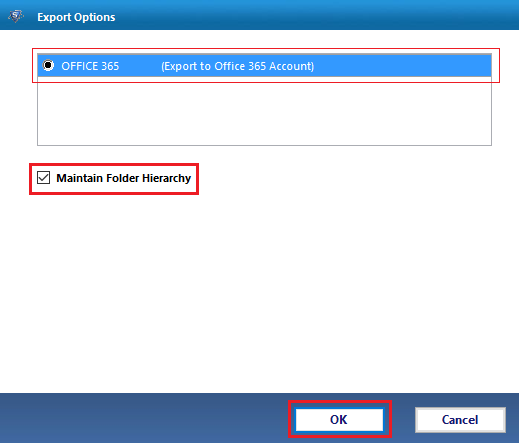 With this option, you can easily import / upload multiple NSF to Office 365 at once. This Lotus Notes email to Office 365 migration utility allows conversion of multiple Domino Server mailboxes or Lotus Notes NSF files. It uploads/copies items like: emails, contacts, calendars & tasks from Lotus Notes to MS O365. Software will transfer every user mailbox item with proper mapping. This tool for migrating to Office 365 from Lotus Notes, allows you to move email, contacts, calendars or tasks. But, if you want to export only selective items then you can check the desired items and software will convert them. Alternatively, you can migrate all the items present in it altogether. If you have multiple Office 365 user accounts under single domain then IBM Domino Server to Office 365 migration product allows you to perform the transition from Lotus Notes to Office 365. It means, you can select any mailbox from single NSF file or Domino server and convert it into any Office 365 user account mailbox; created under common domain. This option is available with business addition of tool. With enterprise license version of the IBM Notes to Office 365 exporter tool, it is possible for you to upload the mailbox data into different Microsoft Office 365 domains/tenants. If you have multiple O365 domains and want to switch multiple mailboxes of Domino Server or Lotus Notes (should be from same server or NSF file) into different user mailboxes under various MS Office 365 domains then it is possible to accomplish with the application. The Lotus Domino to Office 365 migration software provides you multiple options to filter emails and export selective data. You can add email received date range with "To" & "From" dates. This way, you will only be able to export selective emails of a specific duration of time. While you import NSF to Office 365, you can check or uncheck the option to enable/disable HTML formatting and doc links. Once you check on these options, the software allows keeping the HTML formatting like Hyperlinks etc. ; and links of any attached documents intact. This option helps the users to move desired folders. The user needs to add the original name of the folder & corresponding to it the software will migrate the selected folder only. For example, if user add Inbox as Include folder, then the tool will export Inbox data & also its sub folder data. But if in case a user want to migrate specific subfolder only then the name of the subfolder like Inbox/Test has to be mentioned. Each file has an associated internet header in it; which contains some technical information about the message like who sent the mail, application used to compose it, email servers it passed through, IP addresses involved etc. While exporting the data from Lotus Notes NSF to Office 365; utility maintains these internet headers. You can exclude the duplicate contacts from being migrated to Office 365. The Lotus Notes to Office 365 Migrator provides multiple filter option to customize duplicate contacts. The full name, address & mobile number are applied by default. Filters for calendars is also available within the software. You can switch/convert from NSF to Office 365 by excluding the calendars falling under a specific date range. You only need to set a period of time with "To" & "From" dates specified and the tool will export calendars of that specific range. The utility supports calendar recurrences while exporting NSF file to Office 365. The tool allows to export different types of calendar recurrences like Yearly, Monthly by Date, Monthly by Day, Weekly, and Daily. Once you start with the process of IBM Notes to Office 365 or Domino to Office 365 migration; software will show the complete progress report. This includes mailbox name, authentication status, number of mails, contacts, calendars & tasks converted and speed of conversion. Try the Trial Version of Lotus Domino to Office 365 Migration Tool and convert / import 25 items per folder to O365. Can you please provide me the brief working to export Lotus Notes to Office 365? Does SysTools Lotus Notes to Office 365 Migration Tool application migrate NSF to local PST? No, software will transfer data from Notes/ Domino to Office 365 platform only. For your required conversion we offer another utility; SysTools Export Notes which converts Lotus Notes mailboxes to Outlook PST in easy manner. Does Tool Migrate Data into Multiple Office 365 Accounts? Yes, the software allows you to migrate data into multiple Office 365 accounts. I have only my account details. Does tool require admin credentials for migration? No, SysTools Lotus Notes to Office 365 migration Tool does not require admin credentials. You can use your account details to perform the transfer. I have 2 Office 365 domains. Can I migrate into both domains? Yes, in order to migrate the mailboxes into two domains (Office 365) from single Lotus Notes/ Domino server; you need to purchase Enterprise edition of product. 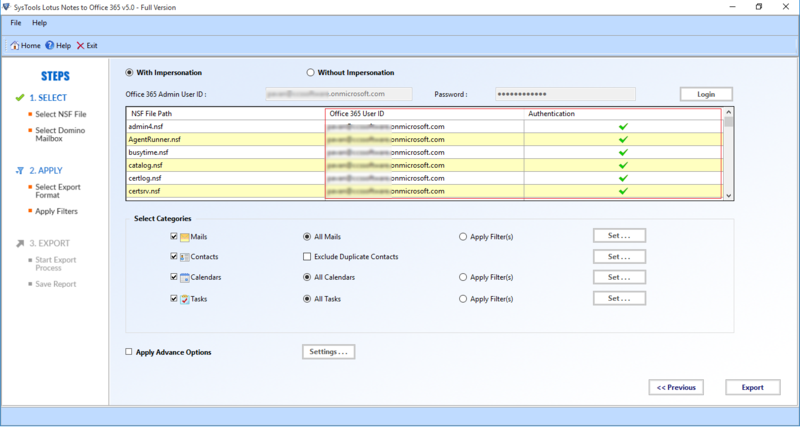 You just need to enter complete user name and password for each Office 365 user. Can I migrate Lotus Notes 8.5 to Office 365 for Business? Yes, using this product you can switch from Lotus Notes 9.0/8.5/8.0/7.5/7.0/6.5 to Microsoft Office 365 efficiently. I have only user NSF files. Do I need to install Domino Server for Migration? No, Domino Server installation is not required in case of Lotus Notes NSF file to Office 365 migration but, Lotus Notes email client installation is needed. I have to Migrate Domino Mailboxes. Do I need to Shut down Domino Server? No, you do not need to shut down server to perform migration. Domino server should be up and in functioning mode. Can I migrate Multiple NSF Files to Office 365 at once? Yes, you can migrate NSF to Office 365 in bulk/batch by selecting the add folder option to import folder having multiple NSF files. Does the tool allows mapping of mailboxes and NSF files with Office 365 user accounts? Yes, you can map mailboxes as well as nsf files with respective Office 365 user accounts. Can I Convert from Lotus Notes to Office 365. Does it consumes a lot of time? Hi, my organization is planning a policy for the cost reduction and migration from Lotus Notes to Office 365 is its prime suggestion. After attempting many options, I found out Office 365 suite is the best service at the most affordable cost. I need to export all my mailbox items to Office 365. Can you suggest me how? Yes, you can easily migrate Lotus Notes to Office 365 by using this software. The tool does not impose any file size limitation & is capable enough to move any number of files to the cloud. Will this software help me in transferring Lotus Notes Contact groups to O365? I support a client which maintains various contact groups within Lotus Notes. She used to send these groups to her coworkers & to several other people as well. While switching to Office 365, the attached IBM Notes groups were blank when was opened by someone. What workarounds can I try to send contact group to Office 365. Avoid such bad attempts to send blank contact groups to Office 365 by trying migration of Lotus Notes to Office 365. The software can easily export Lotus Notes contact groups to O365 without any failure. Does the software Supports to move different types of calendar recurrences while migration? I have meetings that usually run every week on the same day. Thus, I have to set-up a reoccurring event to continue indefinitely. But now I am moving from Lotus Notes to Office 365 so need the calendars on the same platform i.e on cloud. Can this software migrate all types of calendar recurrence for me? Yes, the tool is very much supportive to transfer calendar recurrences of IBM Notes to O365. The software easily export all your calendars to Office 365 platform without any data loss. We all were in dilemma when our manager gave the responsibility to convert Lotus Notes NSF files to Office 365 to the IT team. But after getting this effective Lotus Notes to Office 365 migration tool we really enjoyed the process of NSF conversion as the tool is self narrative and automated once the needed information is uploaded. We experienced the perfect bulk NSF data conversion with this NSF to Office 365 migration software. Working on a large scale project with such convenience feels great. With NSF to Office 365 Migrator I was able to transfer a hefty amount of mailboxes from our organization's Domino to Office 365 within a few clicks. Thanks for the ease. I kept on searching for days for a solution that could help me import IBM Notes NSF to Office 365 in bulk but I failed miserably. Then I came across the best solution ever for migrating to Office 365 from Lotus Notes which is SysTools Migration Tool product. I love this tool. Thanks for developing this tool and making our work easier. Our organization found a holy grail for converting Lotus Notes database to Office 365 which is this SysTools migration program. I love the way how this application helps to import multiple NSF files to Office 365 with just few clicks. You guys are the best. Thank you! I am using Lotus Notes from past few years & as a result I have several large sized NSF files. Now, my main concern is to migrate Lotus Notes application to Office 365 due to its extra & reliable features. May I know if I can use this software for the conversion process? 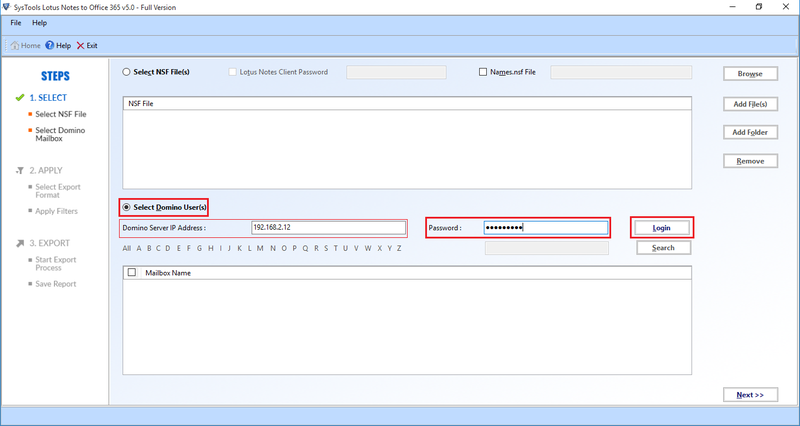 Yes, the utility will easily let you migrate NSF to Office 365 without any hassle. It provides no restriction on the size of the NSF file as the tool export large size as well as small size NSF files. I would suggest that you should try the demo version of the tool to check the working of the software. We are using IBM Notes 8.5 from past few years. Now, we wish for email migration from Lotus Notes to Office 365 for Business Suite. We have 30 NSF files that we want to import to O365. It will be a great help if you suggest us a way to migrate NSF files to O365. If you are looking for Lotus Notes mailbox to Office 365 migration then you can try this software. As, it helps to convert all data items from Domino to Office 365. Try the utility according to your requirement and get satisfactory results.